Not sure I can explain this photo except this is our Brianna. She is the one who will more than likely turn all my hair grey or maybe make it fall out but at the same time be the one to buy me a wig! 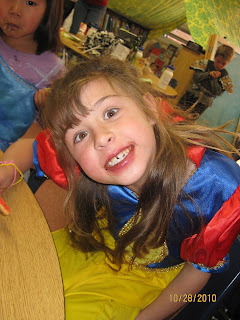 She loves to be silly and here she is in kindergarten enjoying her first big time school party.